Google acquired Quickoffice last year because it did a better job at handling Microsoft Office files than Google Docs. 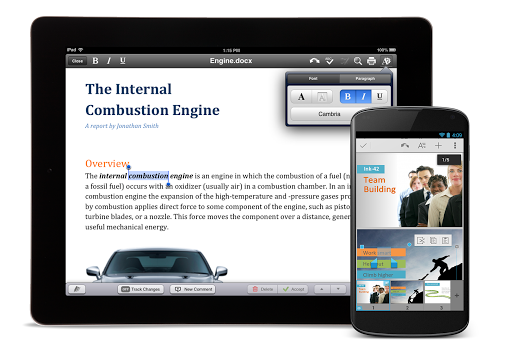 Google has made Quickoffice app free for Android and iOS that's optimized for phones and tablets. The new Quickoffice application supports a single cloud storage provider and that is Google Drive, unlike the previous paid version, and it requires to log in using a Google account. Got it already. Really better than Google Docs. Buy the small companies and make their products free!